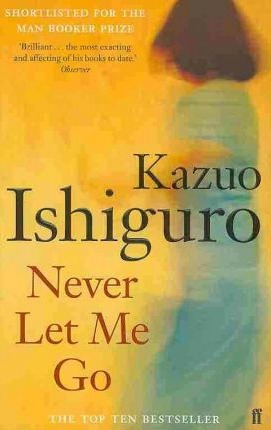 #AdventCalendar Day 5 #Orphansand #CareExperiencein fiction: #NeverLetMeGo by Kazuo Ishiguro. Never Let Me Go (2005) is a disturbing novel set in a dystopian late 1990s England that at first appears to be about the lives of a group of students growing up in the seemingly idyllic boarding school, Hailsham. Narrated by Kathy, now thirty-one, she describes herself as a carer, talking about looking after organ donors. She has been a carer for almost twelve years at the time of narration, and she often reminisces about her time spent at Hailsham, a boarding school in England, where the teachers are known as guardians. The children are all orphans and watched closely. They are often told about the importance of producing art and of being healthy. Smoking is considered a taboo, almost on the level of a crime, and working in the vegetable garden is compulsory. Kathy develops a close friendship with two other students, Ruth and Tommy. Kathy develops a fondness for Tommy, looking after him when he is bullied and having private talks with him. However, Tommy and Ruth form a relationship instead.The acceptance and horribly indoctrinated voices of the Hailsham students tell each other pathetic little stories to ward off the horrific truth about the future and their awaited destinies. Never Let Me Go, is a disturbing novel that will stay with long after you finish the story.